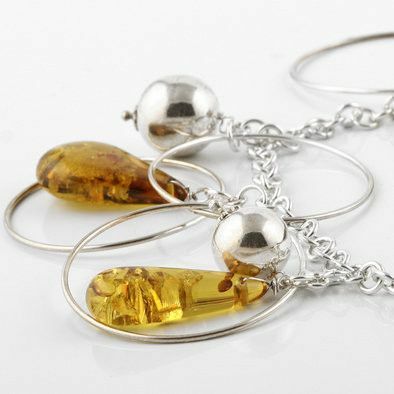 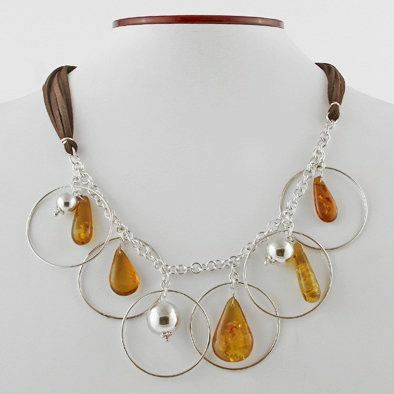 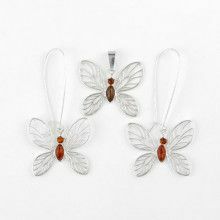 With this fabulous amber jewelry set, the necklace features bright honey amber stones that are highly polished and measure between 23mm and 36mm long. 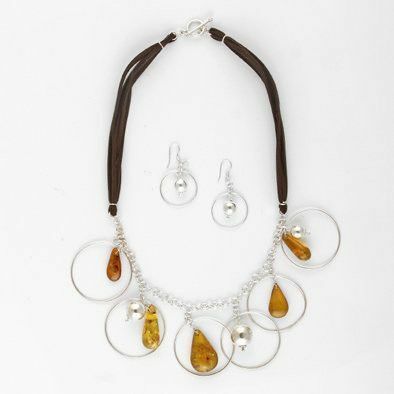 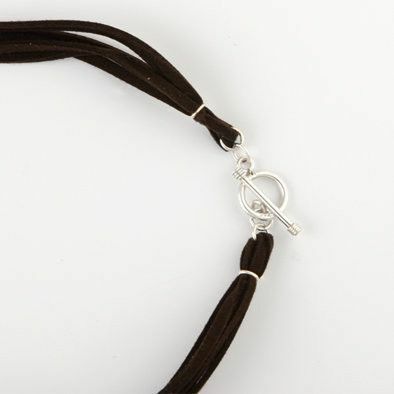 The entire necklace measures 20" long. 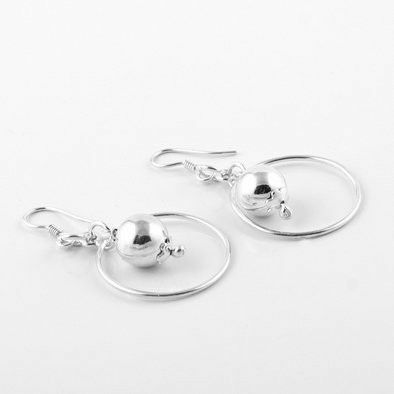 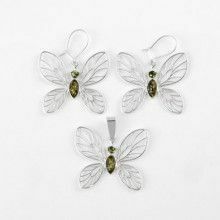 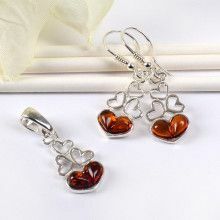 The earrings are completely sterling silver and measure 1 3/4" long.